When you are moving in Newport Beach, it can be difficult to find a company that offers full service moving. Full service is a term that we take very seriously. 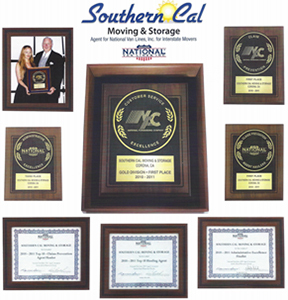 When you call Southern Cal Moving & Storage, not only will we move your items, but we can also help you pack them. We will also provide all the materials necessary to ensure your belongings make it to your new destination in one piece. We assist residential and commercial clients with short or long-distance moves. We even can accommodate those unexpected short-notice moves! We are the movers Newport Beach can depend on. We understand that each client has certain needs for their move. That is why we custom tailor your move to your specifications and requirements. Our staff of Newport Beach movers are expertly trained on all moving, packing, loading, and unloading techniques to ensure that your move goes as smooth as possible. Our goal is to exceed customer expectations and provide quality service with every move we make. Newport Beach is a cozy beach side town in Orange County nestled between San Diego and Los Angeles. Residential suburbs are dotted with commercial attractions that make Newport Beach one of the best areas in Southern California to live. Newport Beach is known for its distinct village neighborhoods, each one with its own theme that echoes in the architecture and overall character. Southern Cal Moving & Storage is happy to serve the great city of Newport Beach! When you need reliable and trustworthy movers in Newport Beach, contact Southern Cal Moving & Storage or call us at 951-520-8800.